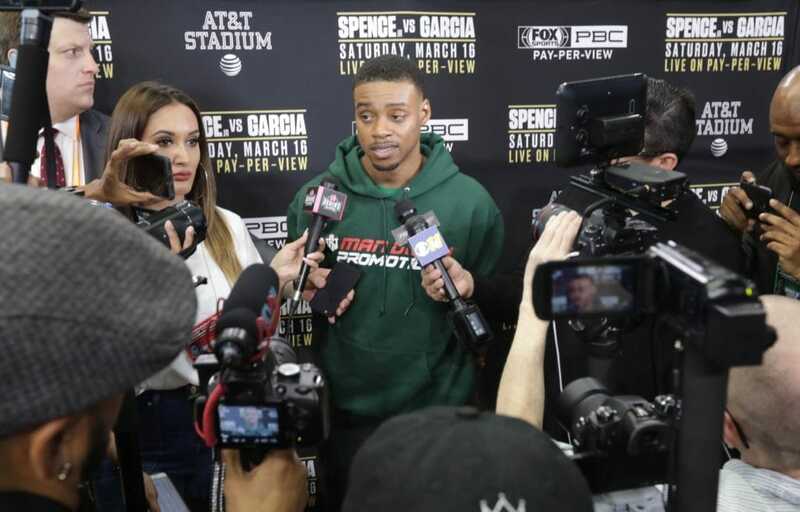 DESOTO—Growing up in DeSoto, IBF World Welterweight Champion and 2012 Olympian Errol Spence Jr. dreamed of playing for the Dallas Cowboys. 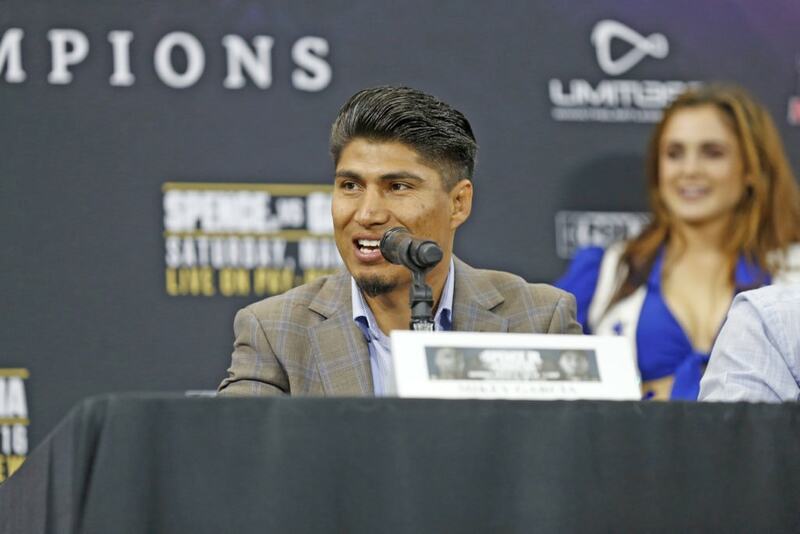 Tomorrow night he will be the center attraction at AT&T Stadium in Arlington as he faces four division world champion Mikey Garcia. 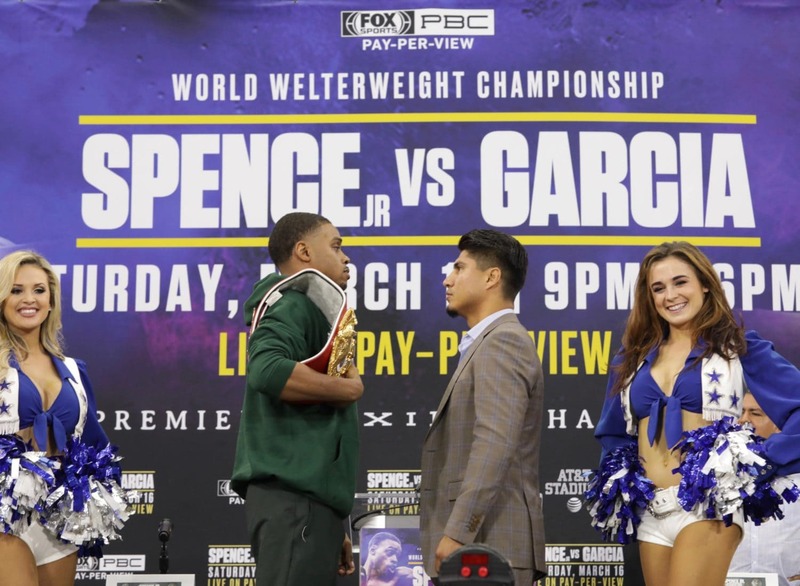 Spence (24-0-0, 21 KO) and Garcia (39-0-0, 30 KO) shared their thoughts on Saturday’s highly anticipated event and posed for photos for media in attendance ahead of this historic event. Tickets for Saturday’s event, which is promoted by TGB Promotions and Ringstar Sports, are on sale now, and can be purchased at SeatGeek.com, the Official Ticketing Provider of AT&T Stadium. Both unbeaten fighters had a lot to say in advance of Saturday’s bout. Outside the ring, Errol is a fan of a popular Japanese anime series that was adapted for American audiences. While the anime hero inspired Errol from the TV screen, in real life he had the best role models a person could ask for. Errol is now a father himself. His motivation to perfect his craft is spurred on by his children, and he’s working to provide for them the same way his parents did for him.